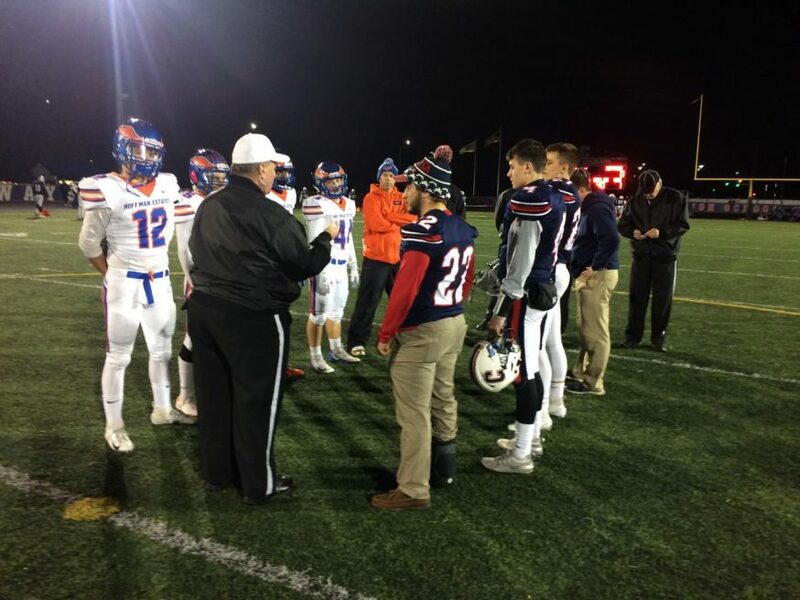 Due to the IHSA moving to districts for football in 2021, the rivalry game between Conant and Hoffman Estates may be in jeopardy. In 2021, Conant’s football schedule may look significantly different than in seasons past. On Dec. 17, member schools of the IHSA approved Proposal 23 by a vote of 324-307-69 that would abolish conferences in football starting with the 2021 season. Conferences will be replaced with eight or nine-team districts that will be determined by the IHSA. Each team in a district will play against all the other teams in the district, and only those games will count towards playoff qualification. All schools in a district will have similar enrollment, which is not currently the case with all conferences in the state. Kane explained that the MSL almost broke up for football over the enrollment issue because the MSL was not going to make changes to the east division, which includes only District 214 schools, who were not willing to break up. District 214 schools have similar enrollment to Hoffman Estates, while schools in the west division have considerably higher enrollments than Hoffman Estates. “Football’s unique. Everyone doesn’t make the playoffs. I think in general people feel like I should be playing the schools that I’m going to be playing in the state tournament to determine if I’m going to make the playoffs,” Kane said. With the new scheduling format being mostly determined by the IHSA, Conant may not be able to play some of their traditional rivals during the football season. Schools in the state will be able to schedule games against whomever they want to for the one or two open weeks they have, which will occur at the start of the season. Districts have not been announced yet. When they are announced, they will be based on either 2019 or 2020 enrollment, according to Kane. Kane said in an ideal scenario, Conant would play Schaumburg, Hoffman Estates, Elk Grove, and Lake Park every season as rivalry games, either through district or non-district play. With non-district games not counting towards the playoffs, schools across the state will handle how they schedule and approach those games differently based on where their program is at, according to head coach Bryan Stortz. “I would still think that every school and coach would think that there’s something special about an 8-1 and especially an undefeated 9-0 season. I think people say the [non-district] game doesn’t matter. I still think it does,” Stortz said, who stressed the importance that an early season win goes a long way for confidence, especially for high school kids.